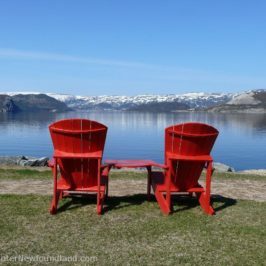 Take a trip back into Newfoundland’s far distant past and learn about the very first peoples to discover the bounty of this beautiful island. 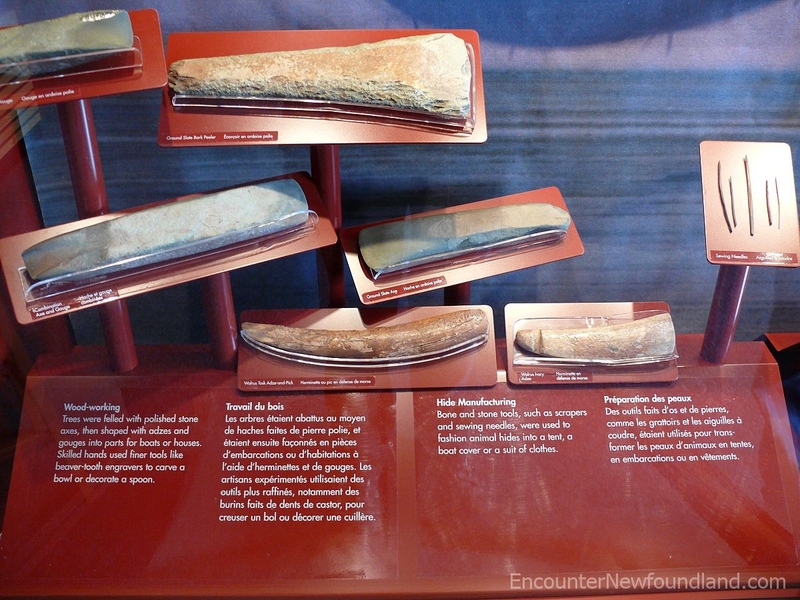 For more than 50 centuries man has inhabited the Port au Choix Peninsula, a small strip of land on the southwest coast of Newfoundland. 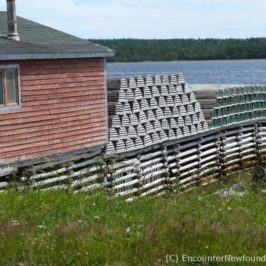 Maritime Archaic Tradition, Groswater and Dorset Paleoeskimos, as well as Recent Indians have all made their home on this unassuming outcropping, taking advantage of the rich maritime bounty that provided ample food for their needs and leaving behind physical evidence of their occupation for later visitors to discover and marvel over. 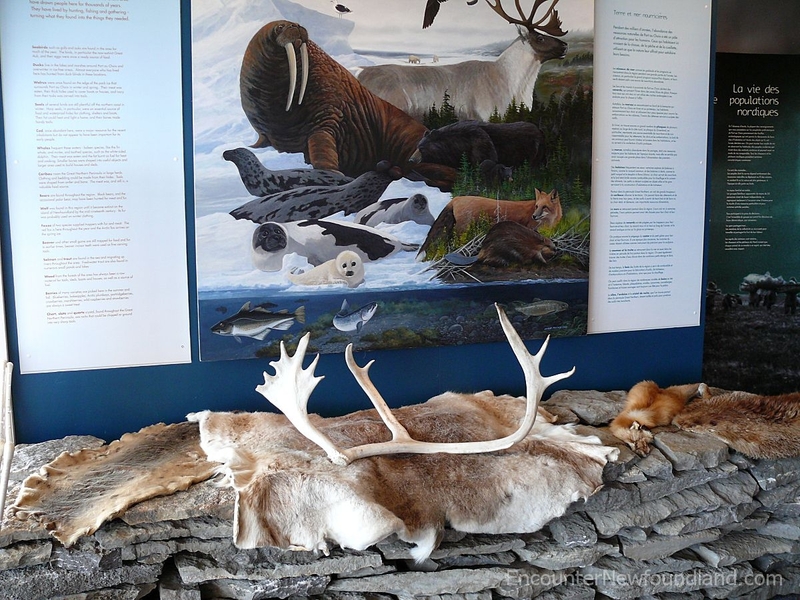 The hundreds of artifacts recovered from archaeological digs across the peninsula reveal how these early peoples lived–what they ate, how they constructed their dwellings, their hunting methods and their spiritual beliefs. 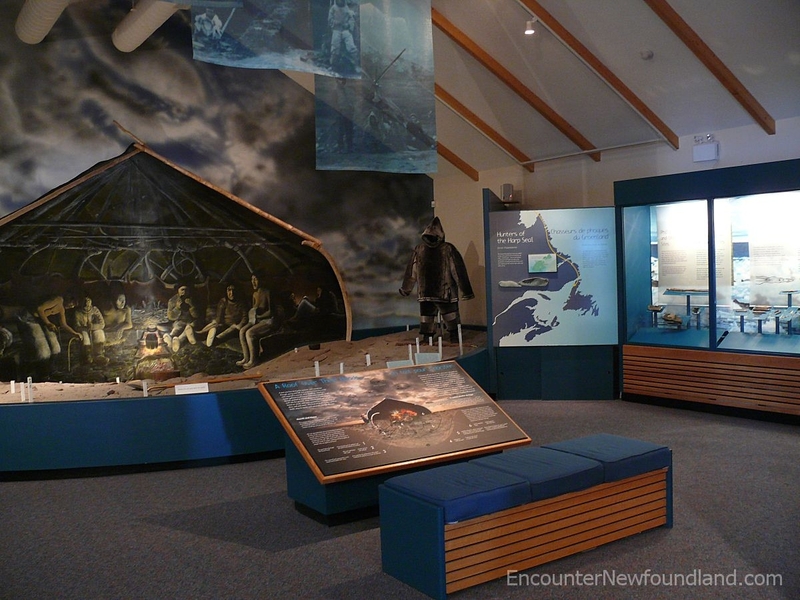 Those artifacts are housed at the Port au Choix National Historic Site Visitor Center, where they are displayed and interpreted, granting the visitor a rare, up-close look into the diverse cultures of those who inhabited the peninsula over the past 5500 years. 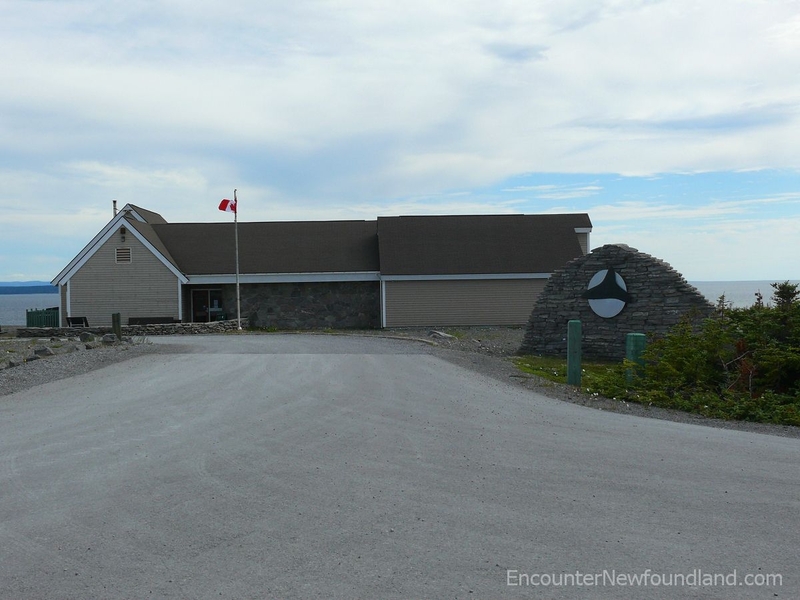 The Port au Choix National Historic Site Visitor Center houses interactive displays and ancient artifacts uncovered at nearby archaeological sites. 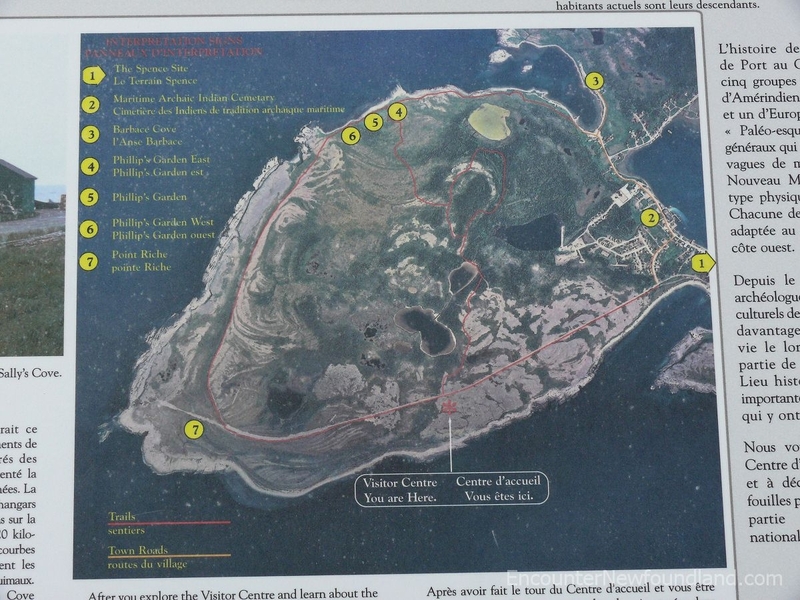 A large map of the peninsula and its various points of interest is situated outside the visitor center, providing helpful orientation to tourists. 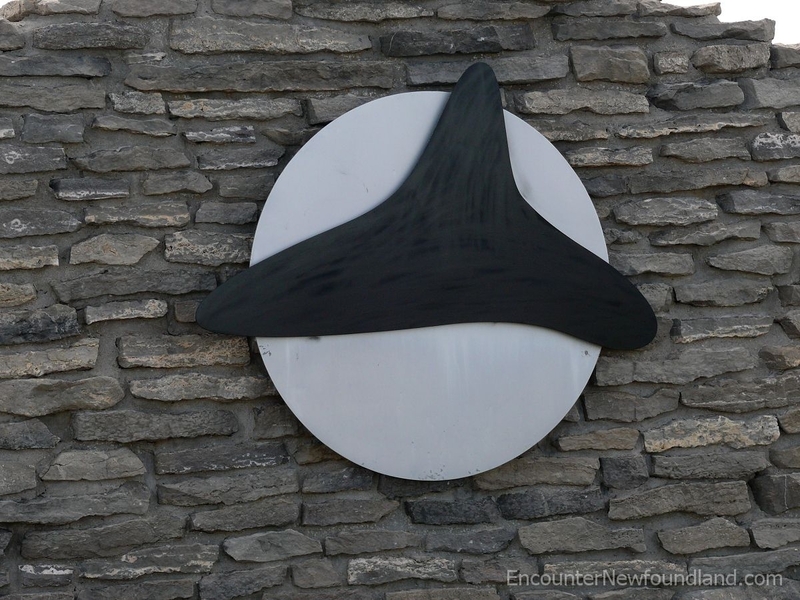 The Port au Choix National Historic Site logo is the likeness of a stone-carved killer whale, fashioned by an ancient hand. 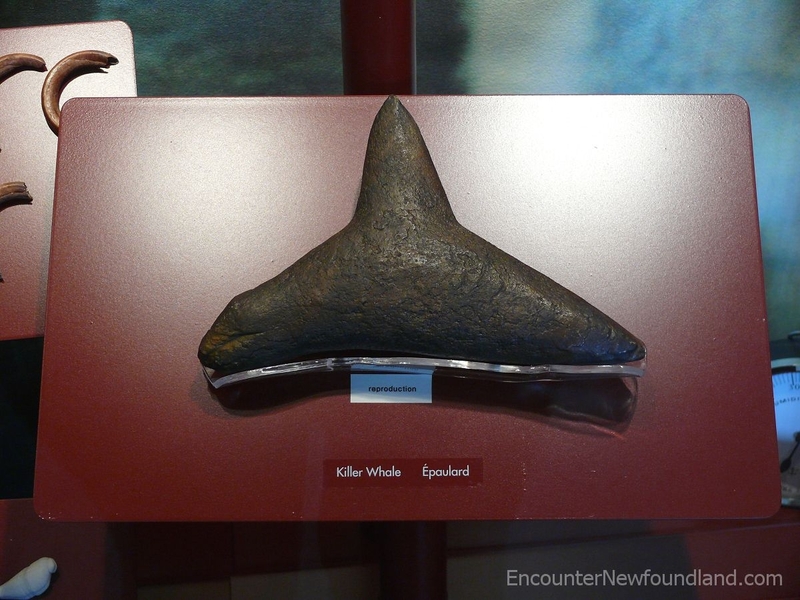 This carving of a killer whale, crafted in a bygone century, has been adopted as the logo for the Port au Choix National Historic Site. 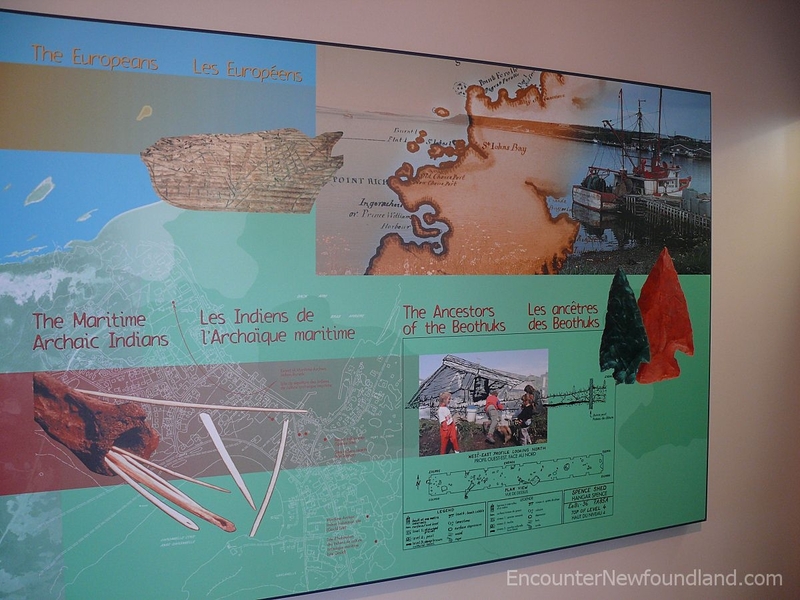 Infograms take the visitor through the ages of habitation of the area by the early peoples that called the island home. 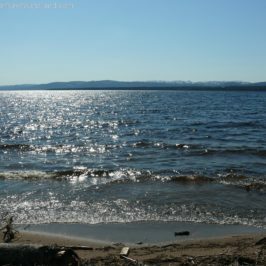 The earliest settlers to these shores were drawn here by the abundance of wildlife suitable not only for food but as a source of raw material for their everyday needs. 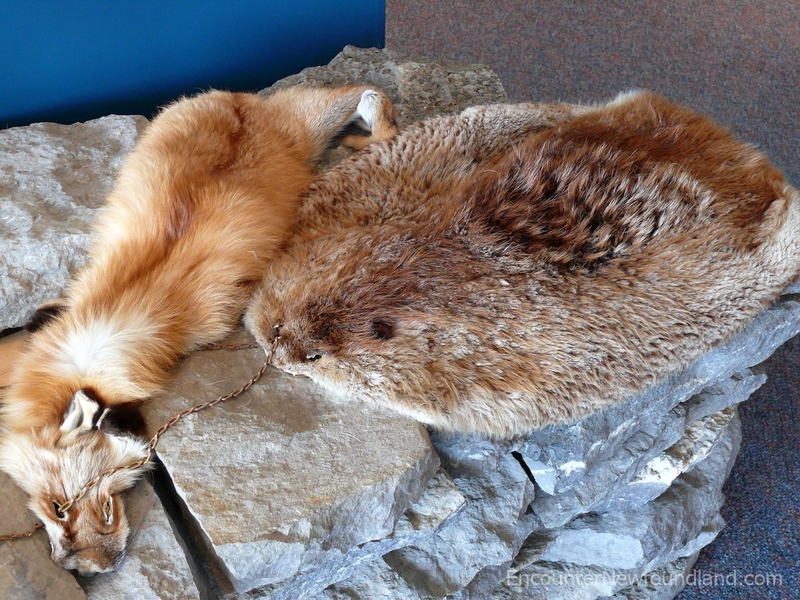 Animal pelts were made into clothing, tents and boat covers. 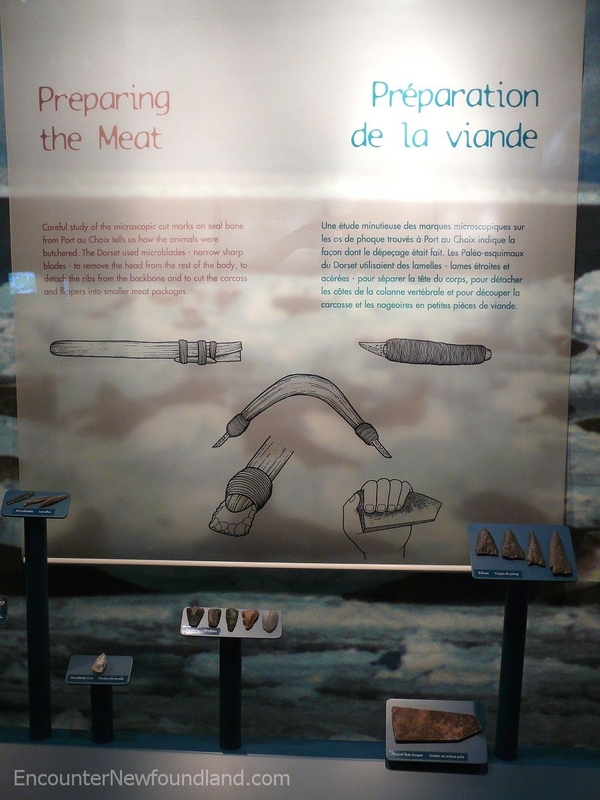 Animals were butchered using sharp stone cutting implements. Polished stone axes were used to fell trees, which in turn were shaped with adzes and gouges as part of the house building process. 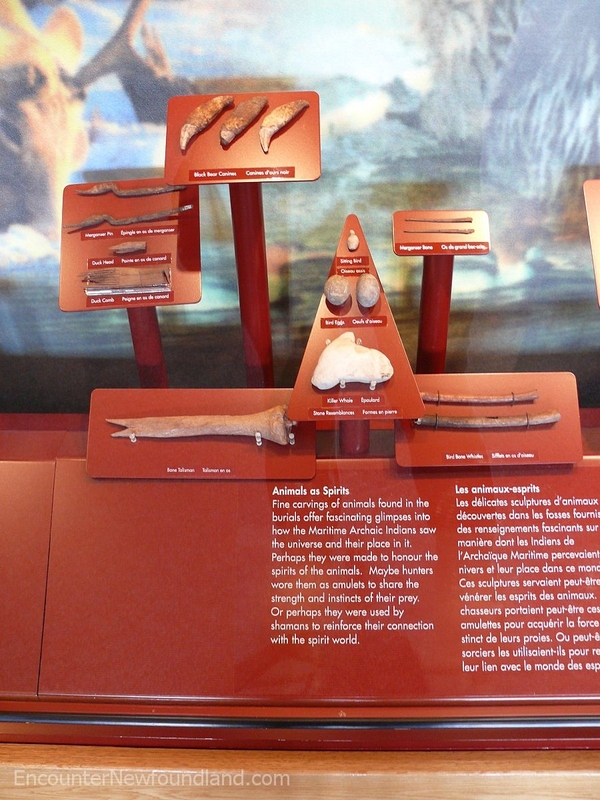 The Maritime Archaic Indians fashioned animal bones and teeth into needles, whistles, combs and pins, as well as animal carvings to strengthen their connection to the spirit world. 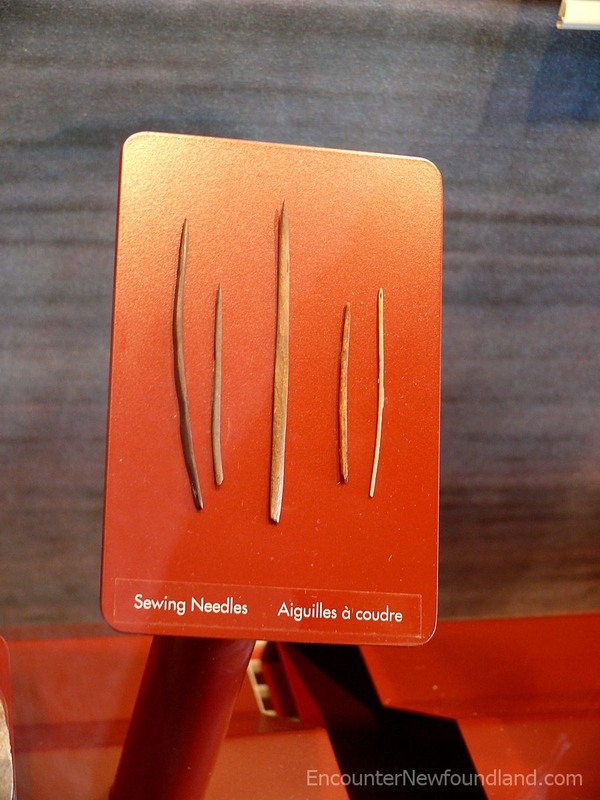 Amongst the multitude of artifacts unearthed at the nearby archaeological digs were these sewing needles made of bone. 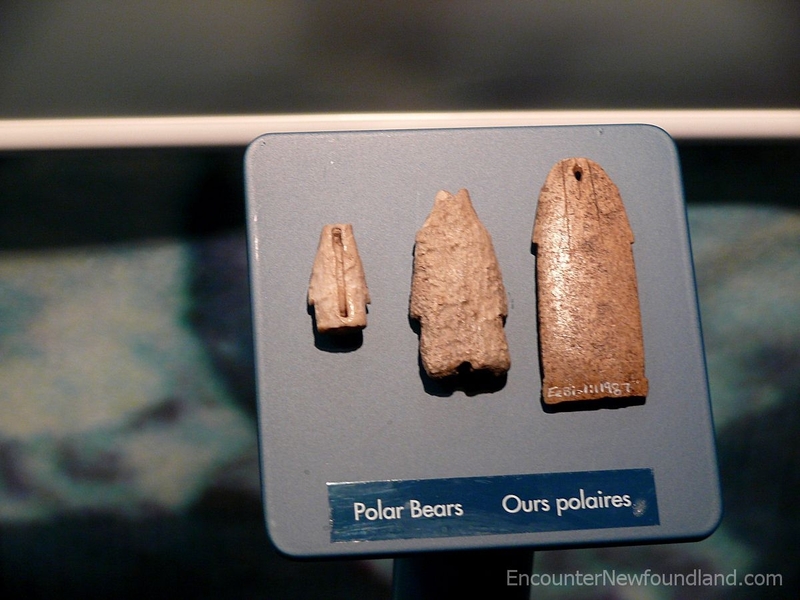 Bones carved into the likeness of polar bears were worn by hunters, allowing them to assume the strength and instincts of their prey. Early peoples were as eager to adorn themselves with jewelry as their modern counterparts. 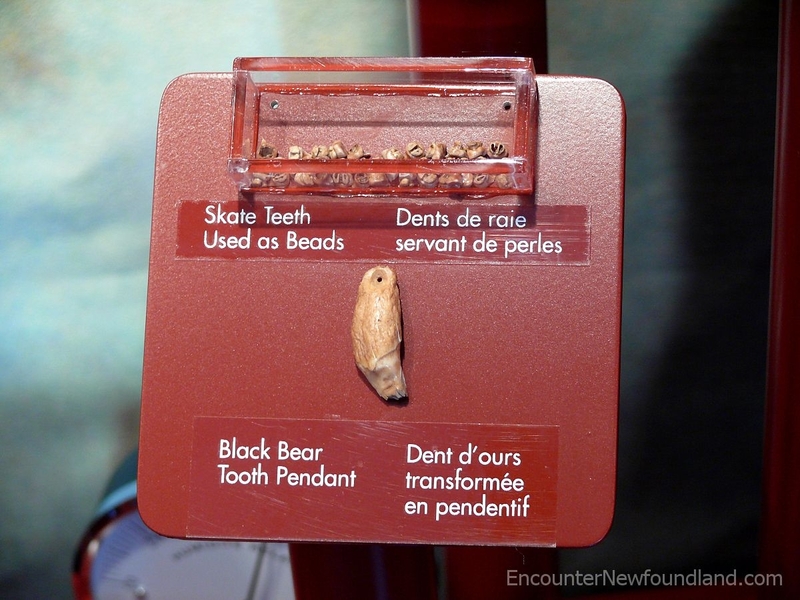 Here we have skate's teeth beads and a bear tooth pendant. 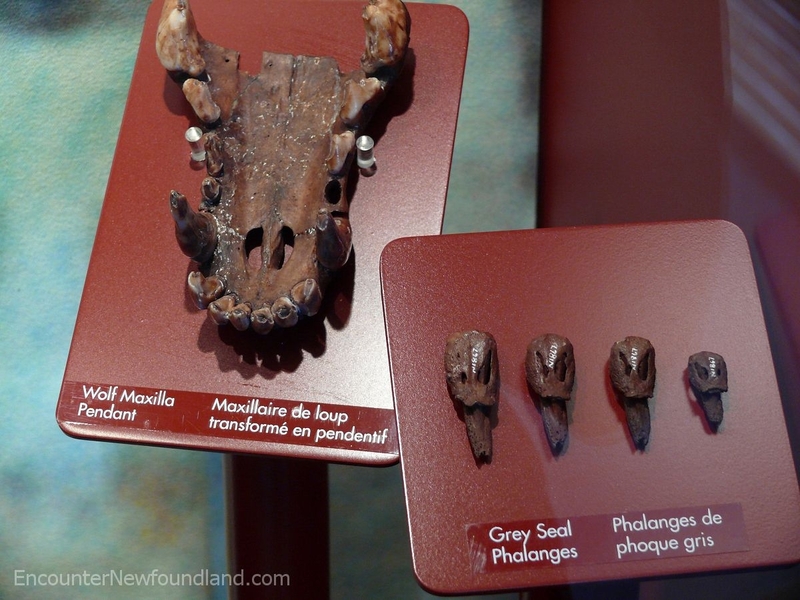 These wolf and seal bones were carved for use as ornamentation and amulets. 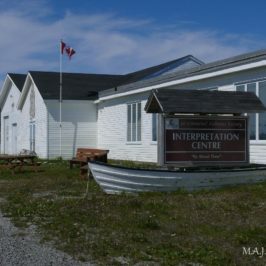 The interpretation center houses a replica of a Dorset dwelling, enabling visitors to visually connect with the aboriginal way of life. 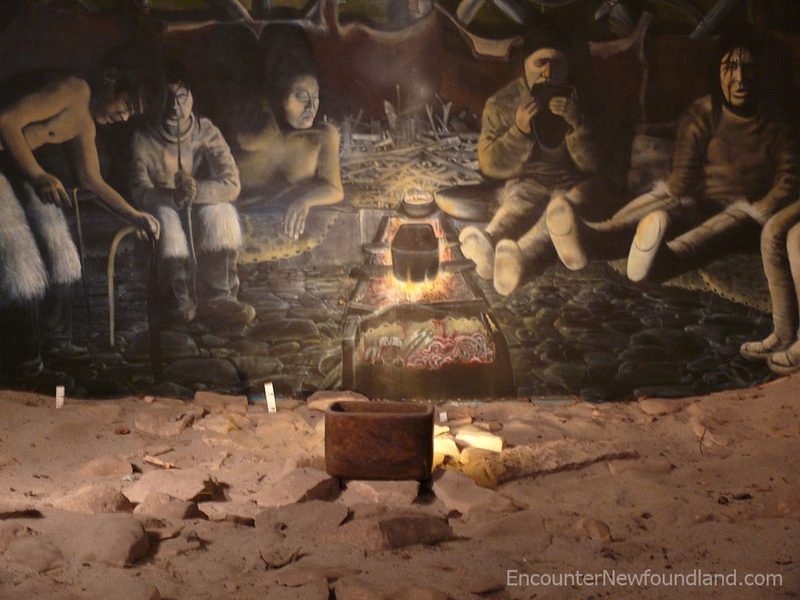 The replica of a Dorset dwelling shows individuals engaged in various activities around the cooking fire, allowing visitors to get a feel for the everyday life of these ancient Northern peoples. 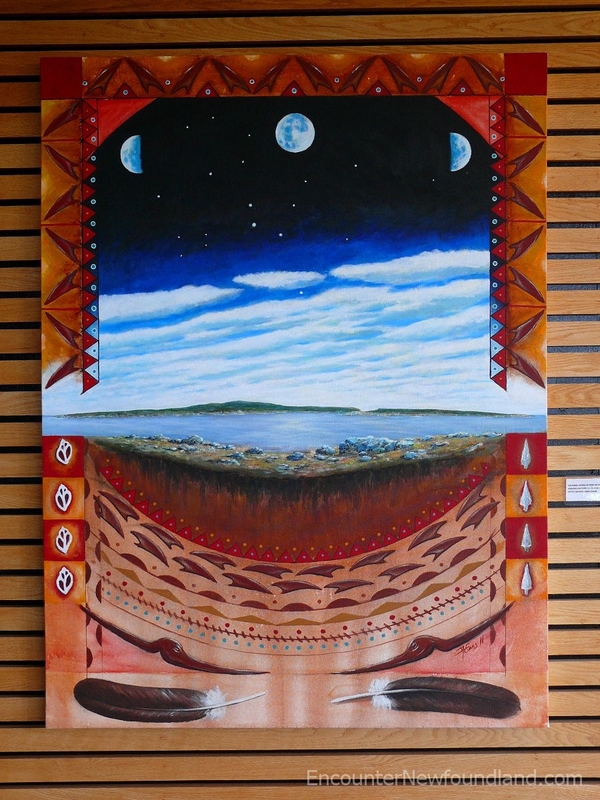 Artwork depicts the relationship of the early inhabitants to nature, which both sustained them and directed the daily and seasonal activities of their existence. 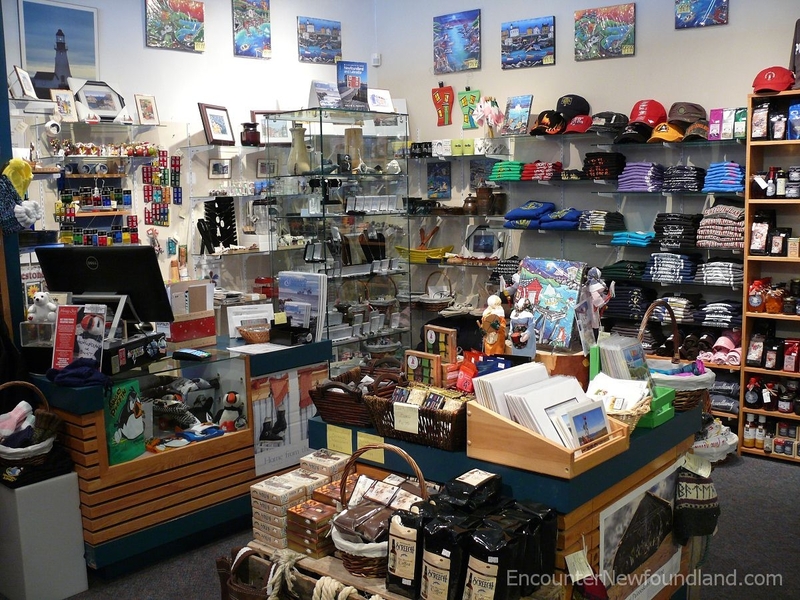 At the end of the tour, a gift shop provides visitors the opportunity to purchase a souvenir of their time spent among the peoples of the past. 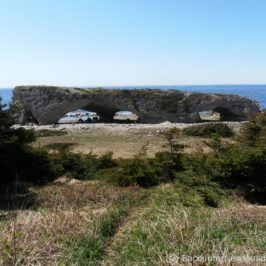 Want to learn more about the scenic Port au Choix Peninsula, its archeological legacy and its uncommon geography? 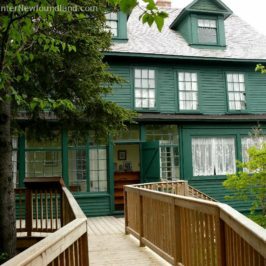 Take a quick Trip Down Port au Choix Lane!